Sense Innovations ESS-DUAL Sound Simulator « Big Squid RC – RC Car and Truck News, Reviews, Videos, and More! It has been a couple of years since sound simulators started taking off, now days they are fairly common in our hobby. They have become quite popular in the scale scene, giving even more realism to scale builds. To not rest on their laurels, Sense Innovations has announced the ESS-Dual Sound Simulator. The ESS-Dual is a full featured simulator that covers engine sounds, as well as engine start-up, brake noises, blow off valve sound, gear shifting, and rev limiter sound. The unit is fully linear through the rpm range and is easily programmed to your car. 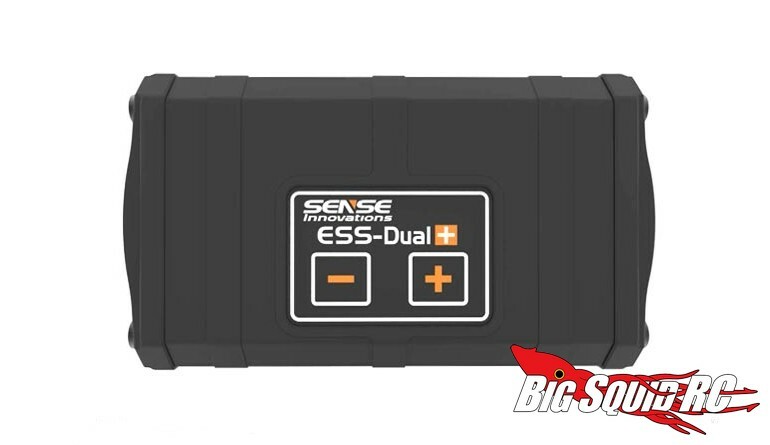 The ESS-Dual has a part number of #SI-30S1244C and you can use This Link to hit up the official Sense Innovations website. Hit up This Link for more Sense Innovations news on Big Squid.